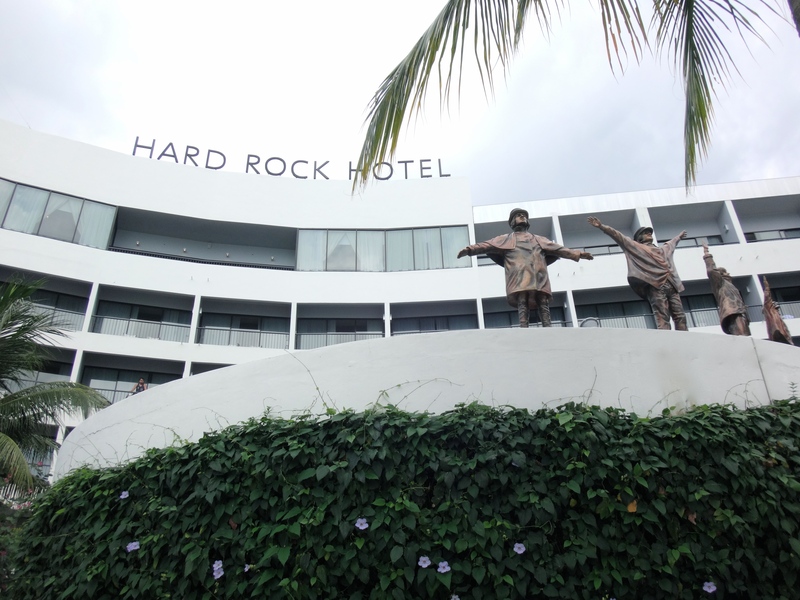 Hard Rock Hotel Penang – Rockin’ Good Times!! 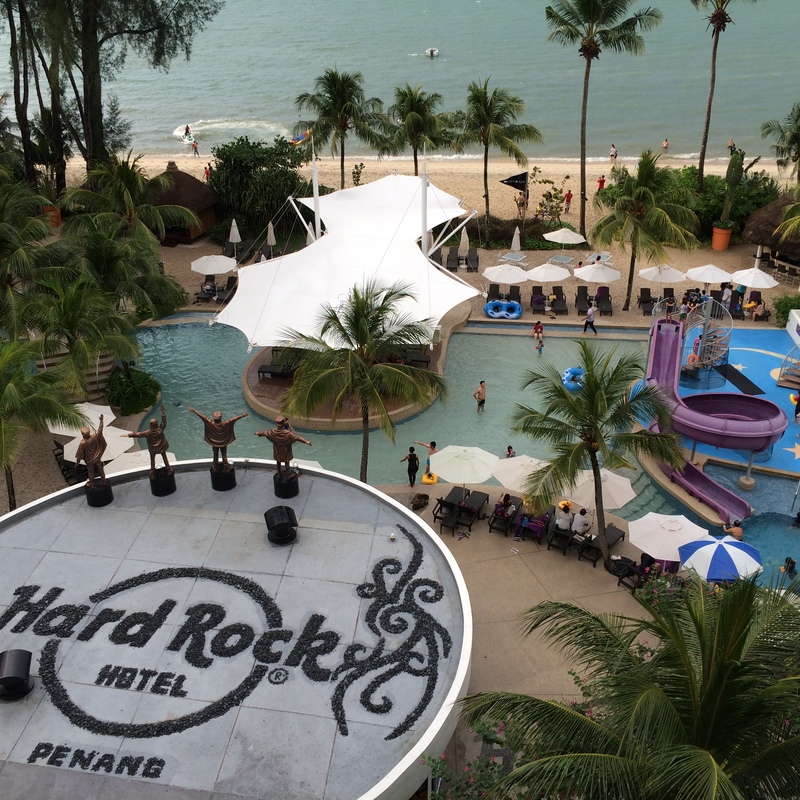 We stayed at the Hard Rock Hotel Penang in Batu Ferringhi last month, and we really loved it! Actually both my BIL/SILs have stayed here before, but they didn’t mind returning, so I think that speaks something for the resort? Also that is probably proof that OCD is genetic, eh?? Heh. We stayed there for 4 nights, and honestly, I think everyone in our entire group of 14 pax wouldn’t have minded staying for longer. Maybe a week. Or more! Even though the weekends can get pretty packed and busy, we weren’t let down by the service or the amenities in the room. Because the hotel was quite fully booked, we stayed in a Lil Rock Suite for a night, and 3 nights in a Kings Club. The rest of my party, 3 other rooms, stayed in Kings Club rooms all the way. I wanted to try the Lil Rock Suite and wouldn’t have minded staying there for all 4 nights, but it was the peak period, so you take what you can get right? Anyhow, I had thought that this arrangement might throw off the check in staff, given I had to make separate bookings online and we had so many people in our party, but they had it all under control. In fact, the staff at the club lounge were pretty awesome. They were attentive, they had initiative, they (or at least Andy) made kick-a** G&Ts… They really made a difference to our stay. Of course, the rooms were pretty nice too. Both the Lil Rock Suite and the Kings Club Rooms look about the same size (the Rock Suite looks much bigger in the photos on the website! ), but the extra trundle bed in the Rock Suite is perfect for families like ours (kids 2, 4 and 6). In fact, my hubby only arrived the next night, so he missed out on the Rock Suite, but yes, I took a flight and brought the three kids there ALL BY MY LITTLE SELF! Although there were 8 other family members who helped out too, of course. Considering the week before to Bali was our FIRST time going on holiday just the five of us, and this trip was my FIRST time bringing the kids all by myself, I’d say December was full of achievements unlocked. But I digress. 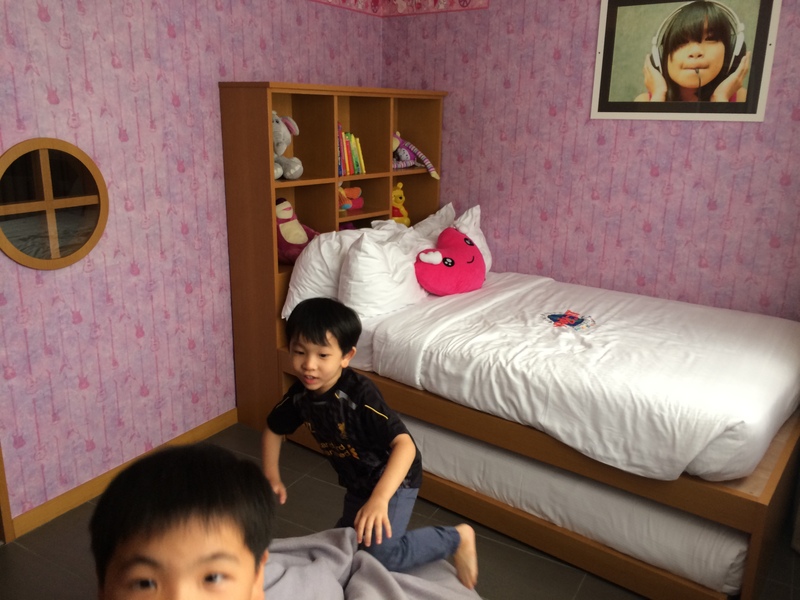 Since it was just me and the kids on the first day with the hubby arrived the next day, I was thankful that the kids were so excited about the room, beanbag, and toys etc. Although they didn’t really play with the books, soft toys, xbox, they were nice touches, and made it easier for me having to handle them on my own! 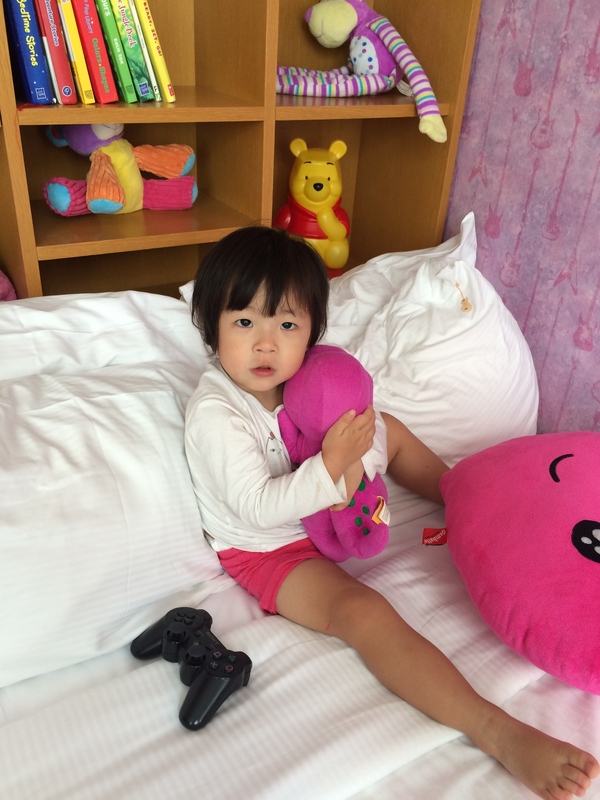 That night, all 3 kids slept on the trundle, and I had the whole entire King sized bed to MYSELF. 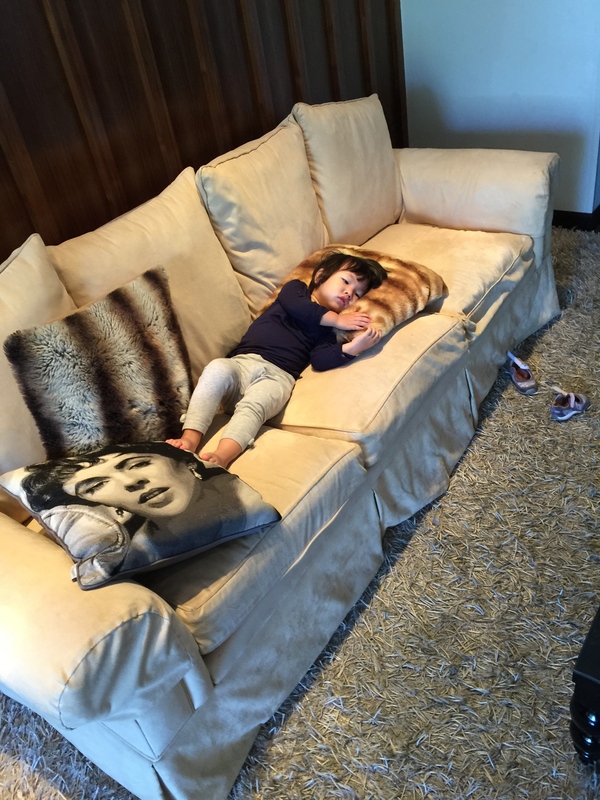 After they fell asleep I WATCHED A MOVIE! Now THAT is really a holiday! “My Barney!” Not sure how she even knows that’s a Barney?! I liked how the kids section in the suite is cordoned off and even has its own sliding door, so it doesn’t get too much air conditioning, which can be a problem for some hotel rooms. I did like the movies on demand, which is in every room, which was the nanny to the kids when I needed to pack or shower, especially when I was alone. And almost every night, after the kids were asleep, I’d be up catching up on the latest movie! 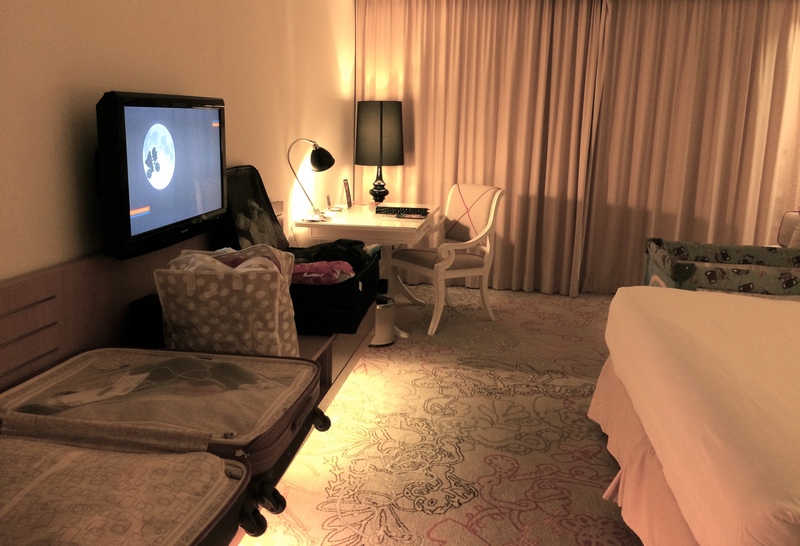 In general, the rooms are all very comfortable, with a lot of space to place your luggage, and the only negative things I can think of are that the air con seemed hard to control (too cold! Too warm! ), and that I wish the Kings Club rooms had a bathtub like the Rock Suites. The lifts did seem to be a little busy at times, but we were seldom in a rush to go anywhere anyhow! Getting cosy at the lounge. 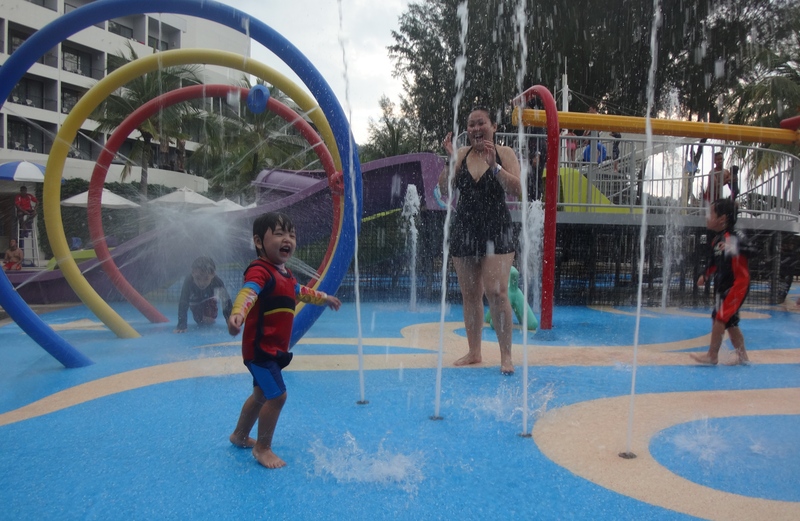 My only other previous Hard Rock Hotel experience was at RWS Singapore, which completely lacks any kind of service at all, so I was completely blown away by HRH Penang. Everyone from Reception to Concierge and Housekeeping were pleasant, and the staff at the Kings Club were outstanding. They were warm, personal, but yet professional, and always happy to oblige. The lounge was very comfortable and we were more than happy to skip breakfast at their other venues for the one here, as it was way less crowded and chaotic, and more personal. 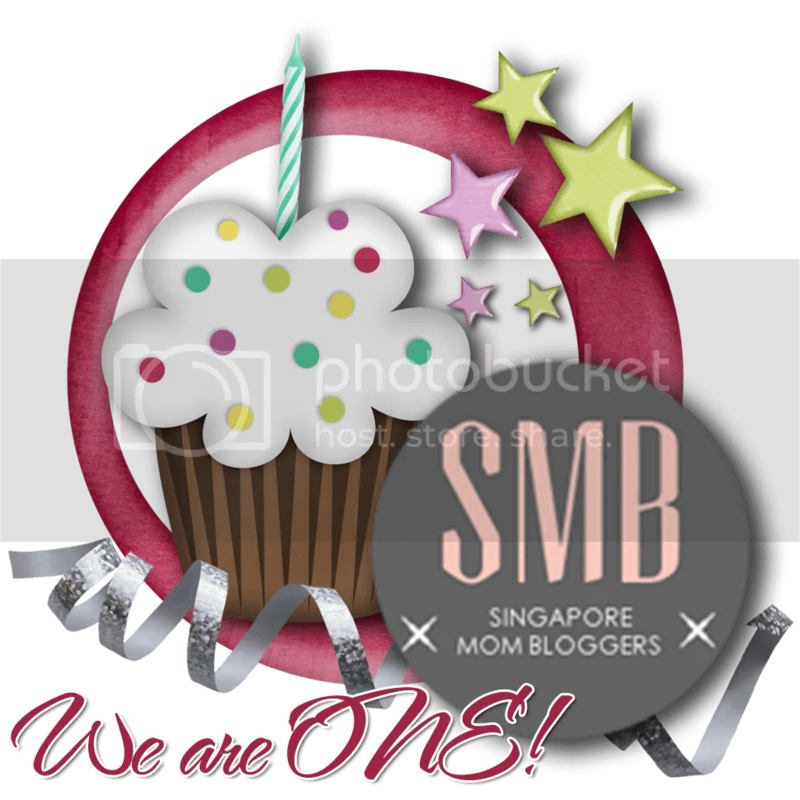 With 6 kids in our group, we already had lots of chaos going on, TYVM! A plus is that the drinks at cocktail hour were pretty impressive too. 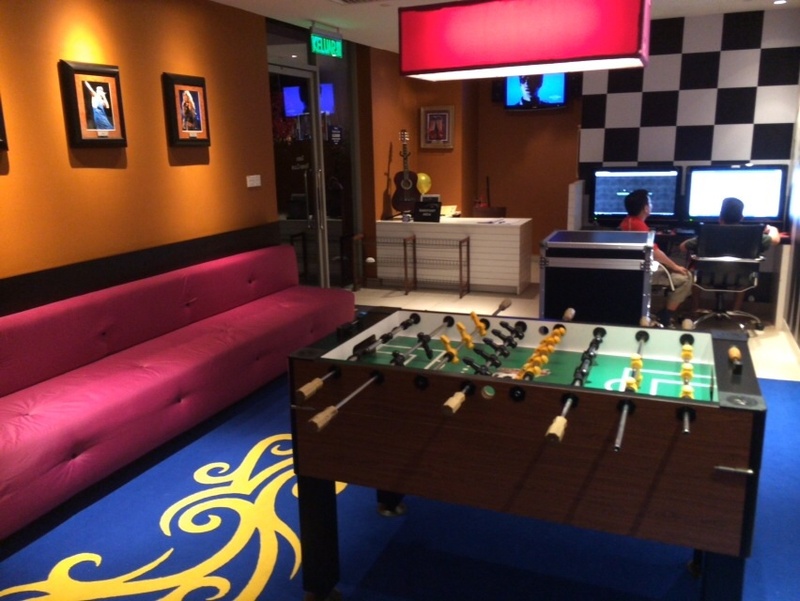 There is one computer terminal and several board games at the lounge, great to occupy the kids. We didn’t take part in any kids club activities but the kids liked playing there and at the teens club for short periods of time. 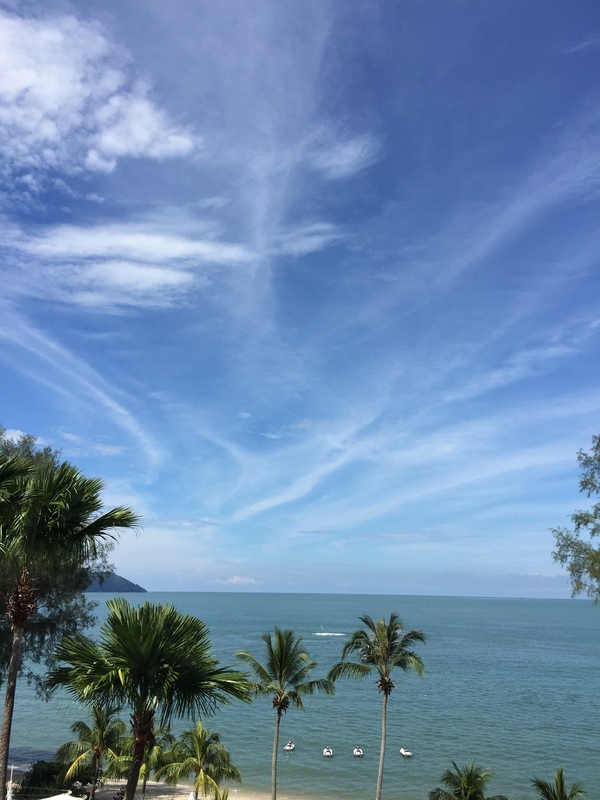 Although the view of the bay is quite picturesque, the beach itself is nothing spectacular, and there are too many touts plying the beach for my liking. The pool was tons of fun for the kids, and before long, Scout (she’s barely 2.5 years old) was going down the water slides by herself. Downsides is that it can get pretty crowded, and the sandy area at the pool feels like it needs a good clean up. And although the beach facing rooms are fantastic, you can hear the live musical performances (weekends, I think), even from the top floor, which is the 6th floor. We didn’t mind it. The hotel also organises a VERY LOUD foam party every first Saturday of the month, that ends around 11pm. Thankfully my kids were completely worn out each day they didn’t have trouble falling asleep through the shebang. If you are sensitive to noise, you might want to consider taking the hill facing rooms. Look at how many people are looking after this lucky girl?! My only gripes about the hotel? 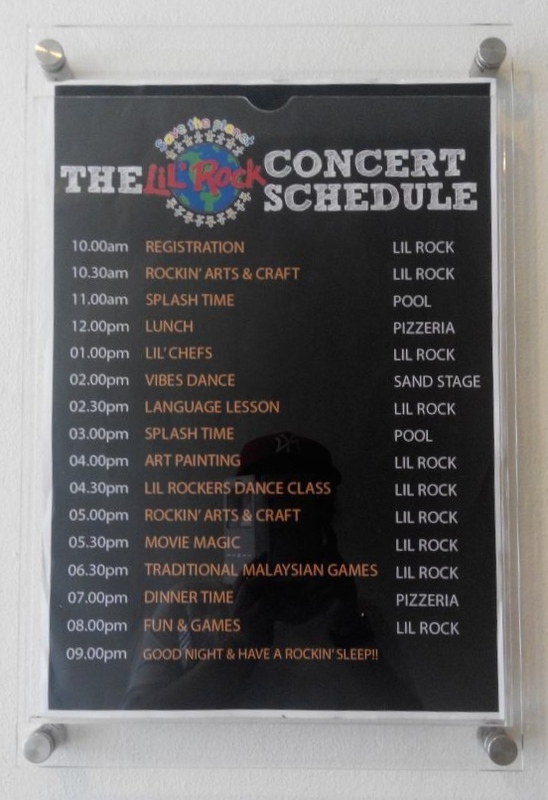 I think in general the Hard Rock Hotels’ brand personality could be stronger, but for Penang, the greedy pig in me would say I would rather stay in Georgetown, closer to all the good food! 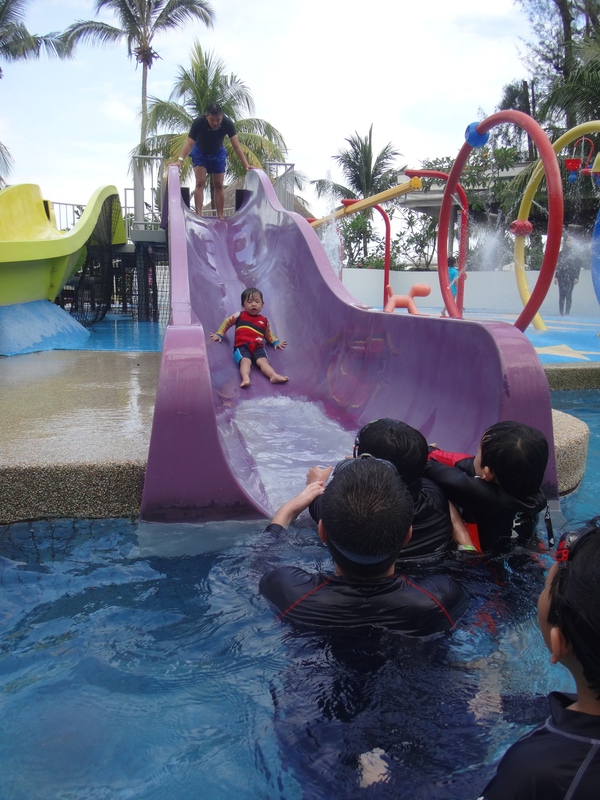 But it is close to Escape Park, Penang Hill and the Butterfly Park, all great attractions for the kids, so the location isn’t too bad either.We all left with a heavy heart, and I would definitely recommend this resort to anyone! Except maybe honeymooners who are thinking of travelling during peak period and who don’t like kids. Or want a peaceful getaway. But for big (rowdy) families like us, it was perfect. You might like to see my previous posts on Penang here and here. Haha, nah, only twice so far. 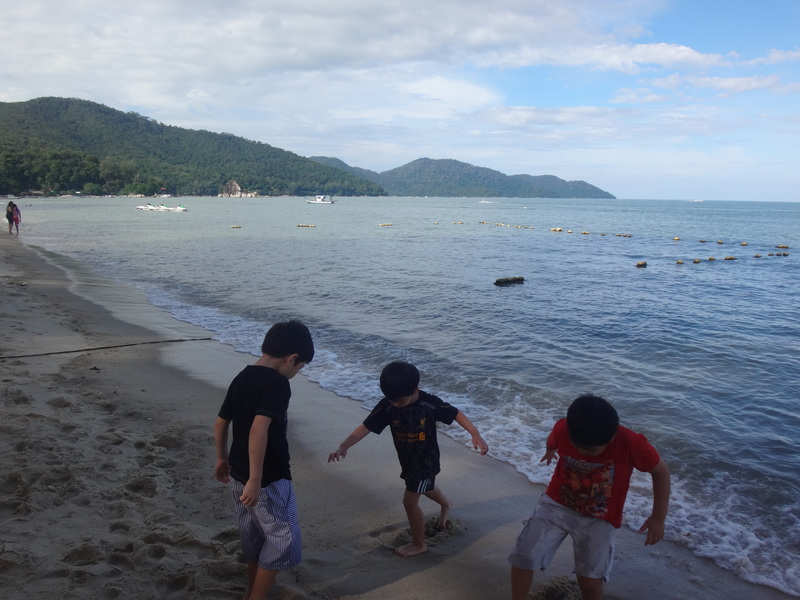 I think the “beach” at the SG HRH is much cleaner and nicer (Penang one a bit icky), but the service in Penang is waaaaaaay better! I suspect it’s a RWS thing, because the service at Festive is also pretty dismal. That’s really true. Practically NO service lol! Ooooo! I love it there too!! Nostalgia…hahaha… We’re planning a go back!